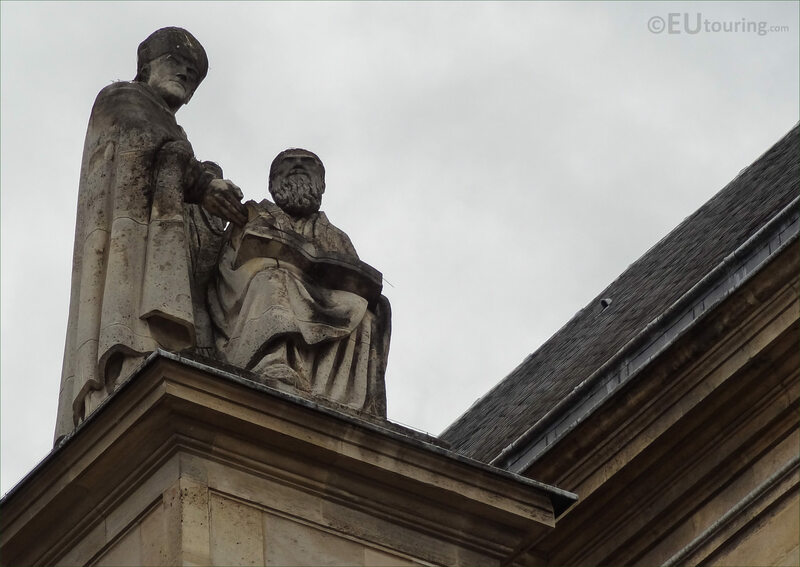 While we were in the 1st Arrondissement of Paris, we took these high definition photos showing a statue group on the Eglise Saint-Roch called Les Peres de l’Eglise, which was sculpted by Marcelin Firmin Michelet. 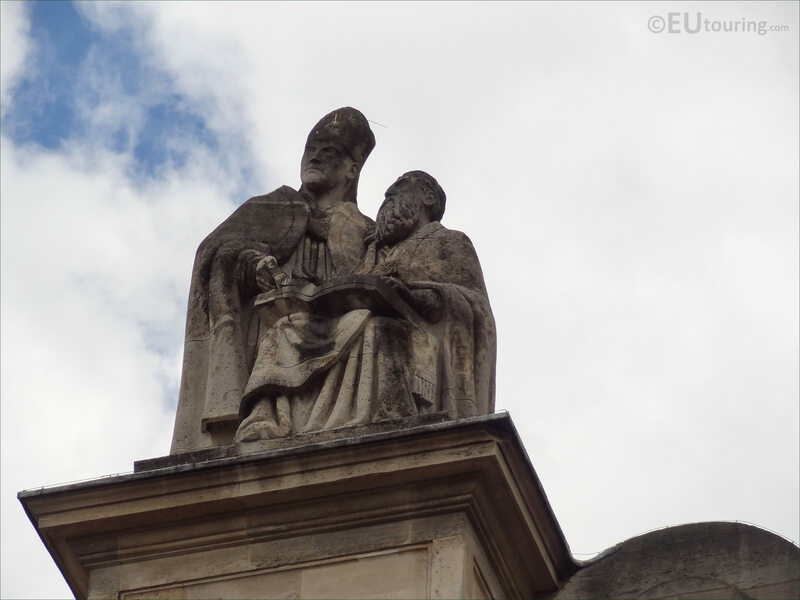 This first HD photo shows a statue group called the statues des Peres de l’Eglise, which in English translates to The Fathers of the Church, and positioned on a pedestal of the Eglise Saint-Roch, this was sculpted by Marcelin Firmin Michelet. Here you can see the statue group with what looks like a bishop due to his robes and the ceremonial head-dress known as a mitre, also spelt miter, along with one of his disciples or his students sitting holding a book, which is no doubt the bible, or perhaps this could also be depicting other works relating to the different testaments, prayers, teachings and preaching's, etc. 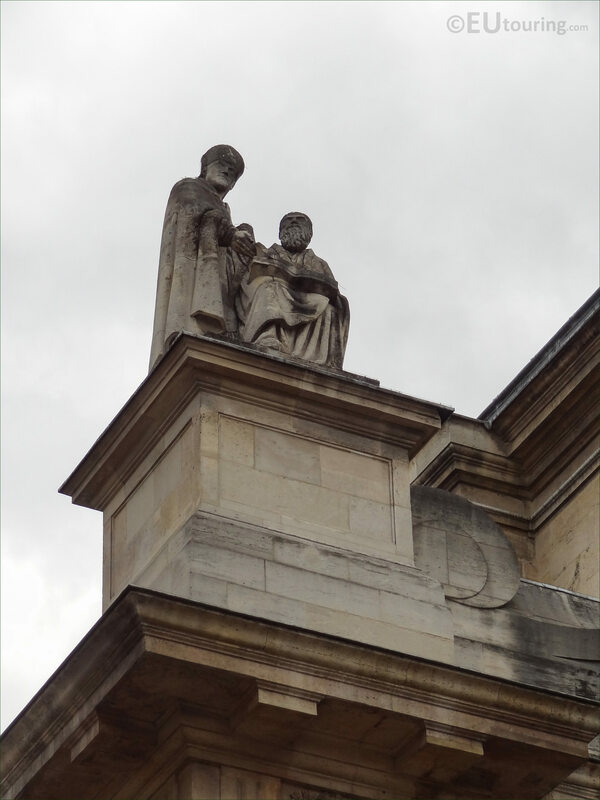 Now as we mentioned earlier, Les statues des Pères de l’Eglise was produced by Firmin Michelet, born with the full name of Marcelin Firmin Michelet in 1875, who became a French sculptor, disguising himself as one who sculpted monuments on a large scale. So you will find numerous monuments all over France that were produced by Marcelin Firmin Michelet, especially those as World War I memorials which he is most renowned for, although he was also an engraver and produced many medals, some of which are now preserved within the Musee d'Orsay, although there are many other works of his around the country including this one on the Saint-roch Church. 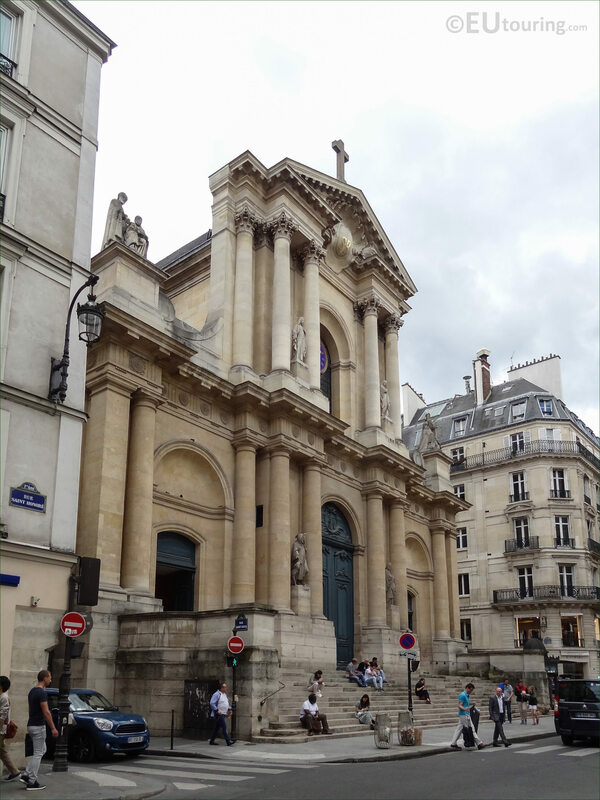 Yet in this photograph you can see the entire front facade of the Eglise Saint-Roch, with the Statue of the Fathers of the Church on the top to the left hand side of the central section holding the clock with its columns and pediment sculpture, which is located on the Rue Saint-Honore in the 1st Arrondissement of Paris. 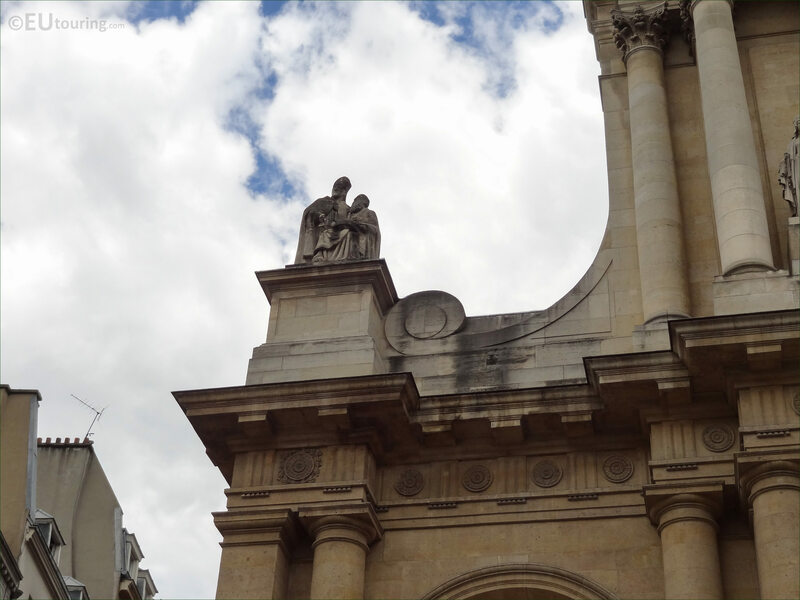 And although we have been unable to find out when this statue group was sculpted, as you can see it has been placed on a large pedestal, making this a prominent feature of the church, which was first started to be constructed during the reign of King Louis XIV, however, with interruptions, this was not finished until the reign of King Louis XVIl in the 1700s and additional embellishments like these statues were added many, many decades, if not, at least more than a century later.